When It Comes to Siding, Looks Are Everything | 41 Lumber - Serving Iron Mountain and the U.P. How do you sell a homeowner something they’re not even sure they really want? Dress it up. 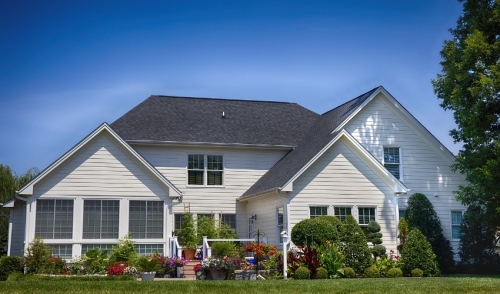 Beauty may be skin deep, but when it comes to siding, at least, looks are everything. Google search “siding curb appeal” and help yourself to the roughly 1.5 million links on that topic, many leading to real estate agents' pages eager to point this fact out. And even if they’re budgeting for the exterior, which some homeowners will do, there’s the fact that a re-roof, when needed, is non-negotiable and dysfunctional windows get next priority. “Siding’s not as mission-critical as a roof or a leaky window,” says Mike Damora, vice president marketing and sales for K&B Home Remodelers, in New Jersey, and regular contributor to Pro Remodeler. To some extent, cladding suffers from its own success. The life span of different siding materials, when properly installed, ranges from 30 years for aluminum and vinyl to as much as a century for fiber cement, stucco, stone, or brick. Even wood, the notoriously high-maintenance cladding that many others imitate, can last a long time, if regularly maintained. You may wonder, then, how there could be any market at all for re-siding, but by 2019, according to Freedonia Group estimates, some 100 million squares worth close to $11 billion will be sold. But as good as siding products are, all bets are off if installation proves inept, if hail storms come through, or if the product simply does what everything eventually will, which is to wear out. In the case of vinyl, that could take the form of bubbling, buckling, tearing away in high wind, warping, or fading.